There is something uniquely elegant about old illustrations. Charles Edmund Brock should be familiar to many an Austen lover. The editions of Austen’s six novels illustrated by him are now in the public domain, and that gives us new treats. Olde Fashioned is a young, talented artist who breathed new life in his drawings, turning them into beautiful wallpapers and icons. 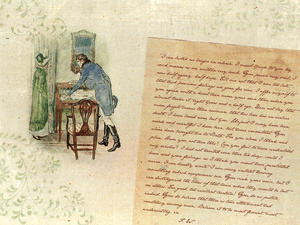 The famous letters of Mr. Darcy and Mr. Wentworth were reproduced by her in the Jane Austen font and combined with relevant Brock’s illustrations, in order to create exquisite wallpapers to Janeites’ heart content. 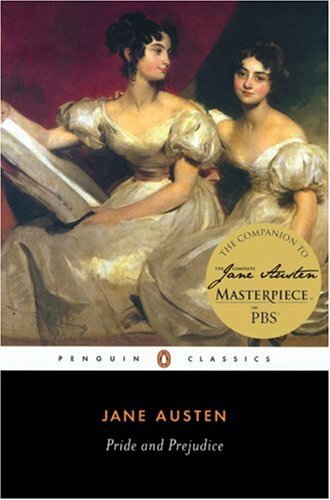 The Three Sisters is one of the frankest portrayals of “marriage as prostitution” (as Mary Wollstonecraft described marrying for material reasons) within all of Austen’s writings. Which is the Man is a play by Hannah Cowley about a fascinating widow who cannot make up her mind among several admirers. In 1787 Austen’s family considered performing it at Steventon. 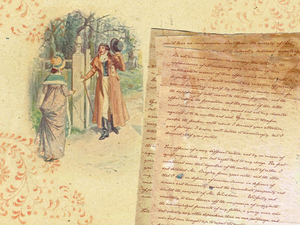 Although other plays ended up being performed then, Austen was well familiar with Cowley’s plays, and quoted lines from them in her letters. There are quite many views of this blog now. For some time the number has oscillated between 300-500 views a week. It’s nice to see it grow, and it’s nice to see that there are at least 40 views daily, and sometimes even over 100. Nonetheless, it’s sad not to know who’s reading. The numbers always seem virtual when not linked to a nick or name. I thought I can be guilty of the same. There are quite many blogs I follow regularly but don’t always comment on them. Or rather, I’m the kind of person who posts mostly to disagree about some tiny detail, while forgetting to compliment on the whole, or even worse – to post anything when I agree with the entire post. Although I’m not sure I can change my nature, and as a Pole I’m in general not a very apprising person (famously, Poles speak only to complain), I thought I could redeem myself at least a bit by posting links to my Netvibes. These are the blogs related to Jane Austen and to the Regency era I follow faithfully. Thank you all for your great work! Your blogs never cease to entertain and provide food for thought.